Waterford is the largest city is south east Ireland. Located at the head of Waterford Harbor the city has a long and rich history. Settled by Vikings in 814 AD, it was during this period that Reginald’s Tower was constructed, still in use today it is the oldest civic building in Ireland. Waterford was later, after many failed attempts, taken over by the Anglo-Normans in 1171. The city spent the next several centuries as a cultural and political center second only to Dublin. The 18th century saw an economic boom for Waterford. It was during this time that the city became known for its glass making and ship building. The World Famous Waterford Crystal factory still makes it home in the city. Today tourists are attracted to Waterford’s rich history and beauty. Nearby Trammore is known for its beautiful coastlines and spectacular views. Architecture is also a main draw for tourists, in addition to Reginald’s Tower; people also come to see the historic Waterford clock tower. The historic Rock of Cashel is also only a short drive away. People visiting the city should be sure to check out the Viking triangle, the oldest section of the city filled with curing medieval streets and architecture. Fine examples of more modern Georgina architecture can be seen in the area of Waterford know as The Mall. Anyone interested in shopping should make a point to visit John Roberts Square, the center of Waterford’s modern commercial district. Waterford is also home to the Waterford Municipal Art Gallery; called “a gem among municipal collections” the museum is home to over 200 paintings. The Waterford Museum of Treasures is home to artifacts of over 1,000 years of Waterford history. 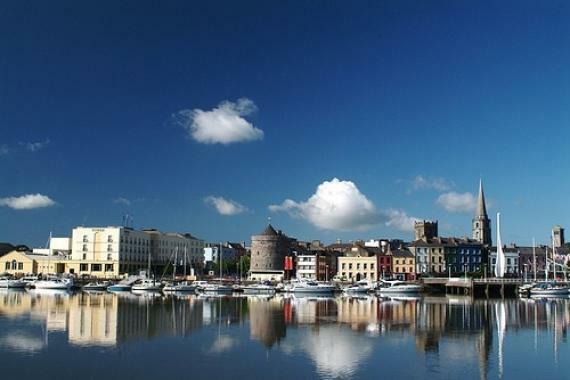 Waterford’s rich history makes it an ideal travel destination. Offering everything from shopping to the oldest architecture in Ireland, Waterford has something for everyone. Find information about selected Hotels, apartments and rooms in Waterford to choose the perfect place for your accommodation.